SEO Company in CT! Local SEO Is Our Specialty. Free Consultation! We are the leader in SEO services, specializing in local small businesses. No shortcuts – No automated programs: 100% white hat SEO. Never be penalized – Google will be your friend! Showing up on the first page of an internet search is fundamental to your online marketing success! Our mission is to work with you to provide a solution to your unique business needs. We analyze your website and give our recommendations. 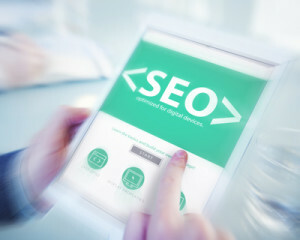 You may have heard stories of businesses who have invested in search engine optimization, only to lose their rankings after Google updates their search engine. At Elvin Web Marketing, we only use 100% white hat SEO for our clients. This means we follow the rule book and never put your business at risk! As a Google Partner, you know that you will never be penalized from one of our SEO campaigns. We go over your entire website. We make sure the content is engaging and informative. We concentrate on one keyword per page so our SEO efforts aren’t diluted. We use the keyword to specifications set by Google and other search engines. We make sure the keyword is prominent in the Meta title and description of every page. Check for Alt tags on every image. Make sure the NAP (name, address, phone number) are correct on dozens of online directories.